NEW DELHI: Upbeat US data that lifted Wall Street in overnight trade on Thursday rubbed off on Asian equities this morning. An end to US Fed’s rate hiking cycle for this year is another major positive that Indian markets might react to on Friday. Nifty futures on Singapore Exchange were trading 5 points or 0.04 per cent lower at 11,587, indicating a possible tepid start for the Nifty50 back home. Asian shares advanced after upbeat data and optimism in the tech sector lifted Wall Street stocks, helping calm some of the jitters sparked by the Federal Reserve’s cautious outlook on the world’s biggest economy. 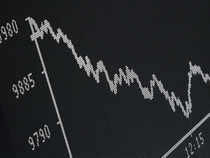 MSCI’s broadest index of Asia-Pacific shares outside Japan rose 0.25 per cent while Japan’s Nikkei gained 0.3 per cent. A tech rally led by Apple Inc pushed Wall Street higher on Thursday as jitters over the Federal Reserve’s forecast of an economic slowdown were calmed by upbeat economic data, a Reuters report said. The Dow Jones Industrial Average rose 216.84 points, or 0.84 percent, to 25,962.51, the S&P 500 gained 30.65 points, or 1.09 percent, to 2,854.88 and the Nasdaq Composite added 109.99 points, or 1.42 percent, to 7,838.96. Foreign portfolio investors’ optimism in Indian equities is at the highest level in 2019 so far going by their bullish positions in index futures. Their bullishness has been driven by growing confidence of the BJP-led coalition coming back to power after the elections and dovish policy stance by various global central banks. The long-short ratio of FPIs’ positions is currently at 63%, the highest in at least six months, said derivative analysts. Embassy Office Parks REIT’s initial public offer, which plans to raise around Rs 4,750 crore in India’s first such listing, was oversubscribed on its last day. The issue was subscribed 2.57 times, data on the NSE showed. State-owned MSTC’s initial share sale, which was extended till March 20, has been subscribed 1.46 times on Wednesday, the final day of bidding. Oil prices on Friday hovered close to 2019 peaks reached the previous day, propped up by supply cuts led by producer club OPEC and by US sanctions against Iran and Venezuela. Brent crude oil futures were at $67.82 per barrel at 0122 GMT, down 4 cents from their last close while US WTI futures were at $60 per barrel. Foreign institutional investors were net buyers of Indian equities on Wednesday to the tune of Rs 1,771.61 crore while domestic institutional investors offloaded shares worth Rs 1,323.17 crore, according to NSE’s provisional data. Rupee up: The rupee Wednesday recovered by 13 paise to close at 68.83 against the US dollar amid sustained buying by foreign investors in domestic equity markets and lower crude prices. 10-yr bond yields down: India 10-year bonds’ yields fell 0.02% to 7.52% on Wednesday from 7.54% over the previous trading session, according to RBI data. Call rate: The overnight call money rate weighted average was 6.20% on Wednesday, according to RBI data. It moved in a range of 4.80-6.30%. European Union leaders staved off the threat of the U.K. crashing out of the bloc without a deal next Friday by giving Theresa May an extra two weeks to work out what to do. At a summit in Brussels on Thursday, the leaders told May that if U.K. lawmakers don’t endorse her Brexit deal next week, she’ll have until April 12 to decide whether to leave without agreement or request a much longer extension. Non-banking finance companies’ dependence on bank credit has grown by a 48% year-on-year till January, reflecting a shift in focus from money markets to banks for funds amid tighter liquidity condition. At the end of January 18, bank loans to NBFCs stood at Rs 5,57,600 cr against Rs 3,76,000 cr a year ago. Reliance IndustriesNSE -2.45 % is selling fuels to Venezuela from India and Europe to sidestep sanctions that bar US-based companies from dealing with state-run PDVSA, reports Reuters. The Federal Reserve’s abrupt policy shift has opened the door for interest rate cuts across Asia as inflation remains subdued and economic growth slows. On March 20, the monetary policymakers voted to keep the US interest rate range between 2.25%-2.5%. Fed changed 2019 outlook from two rate hikes to none. RBI is likely to ease disclosure rules on the transfer of various categories of state government bonds held by high-street lenders. Lenders need not disclose the transfer of state bonds from the held-to-maturity (HTM) category to the available-for-sale (AFS) segment.